SIMULIA’s solutions for medical device development provides a framework for engineering teams to integrate the tools they use into re-usable, deployable processes. This reduces time-consuming and error prone tasks to improve productivity and consistency, while enabling design exploration studies to find better designs and democratization to expand the user-base for simulation. Lastly, capturing these processes in the 3DEXPERIENCE® platform provides the traceability organizations need when making critical business decisions. A data post-processing and collaborative decision support tool is readily available on the 3DEXPERIENCE platform for any user that needs to rapidly go from large data to verifiable decisions. Whether data is generated from simulation, physical test, or operations, customers continue to generate large amount of data that requires results analytics to post-process, visualize, and analyze trade-offs. 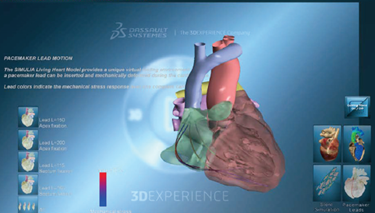 For additional information on the 3DEXPERIENCE® Platform, download the available brochure.